This week Marti challenged the Creative Inspirations Paint Design Team to create something 3D using the beautiful paints! I had bought these wooden snowflake ornaments sometime ago with the intenion of altering them. So this weeks challenge gave me the perfect opportunity to get them altered! Using an Ink Blending Tool, I applied Creative Inspirations Paint in Winter Frost paint to the wooden snowflake, and let it dry. These paints really look great on wood! 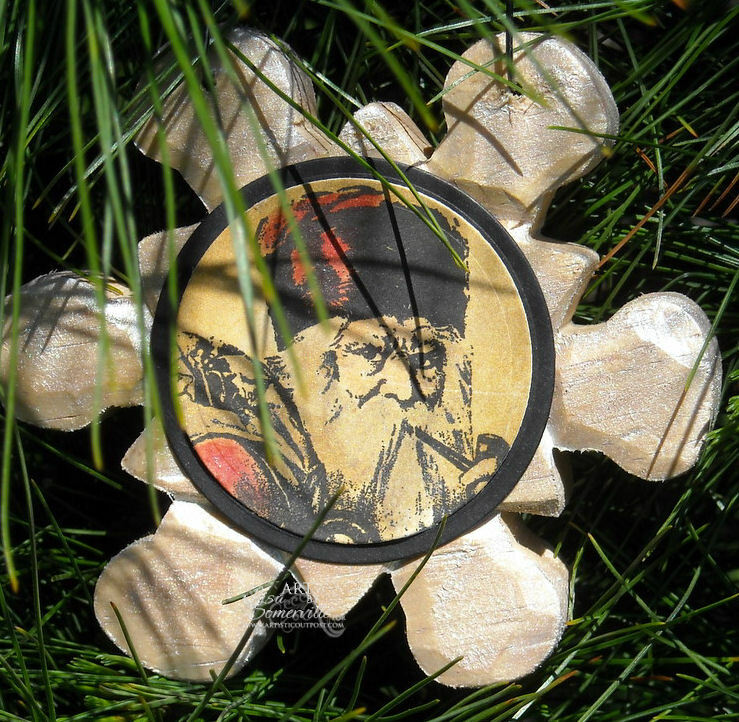 The wonderful Santa image is from the Artistic Outpost Snowy Woods plate. The image is stamped in Black Archival on Vanilla, I used Ranger Distress Inks and the Burnt Edges Technique to aged the image, then lightly painted it with and H20 Brush and Creative Inspirations Paints in Rustic Red, Winter Frost, Peach and Antique Silver. What a fantastic ornament. 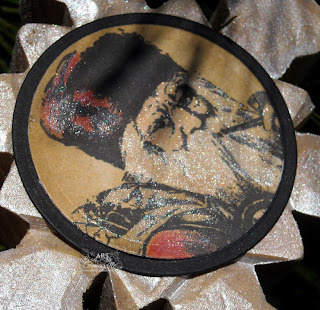 Love the image and how you added glitter to santa to match th sheen on the ornament paint. Lovely! Oh I luv the sparkle on the wood, cute St.Nick! very cool, those ornaments look nice and big! Love Santa peeking from the tree. This i one of my favorite sets from AO! I LOVE your project- your colors are wonderful and I am sure the shimmer IRL is absolutely gorgeous!!! What a great idea -- I love the sparkle on the wood! Wow! This is gorgeous! I need to try making some ornaments, thanks for the inspiration! Beautiful ornament! What a great idea! Love the shimmer!! Luv it! I have been thinking of painting some snowmen displays for Christmas but never thought about ornaments. This is definitely a must. Great idea! This looks great! I hven't used the paints on wood-I'll be sure and give it a try!